Jeremiah Hammond is FileMaker Developer and Senior Technical Project Lead for DB Services. Jeremiah has been a Certified Developer for DB Services since 2007 as well as a FileMaker Authorized Trainer. 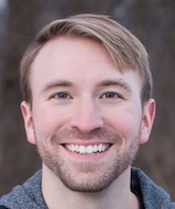 A Purdue University graduate, Jeremiah earned dual bachelors in Chemistry and Philosophy while simultaneously learning FileMaker. When he’s not cranking out code, Jeremiah is busy expanding his knowledge of the natural world by keeping up with the latest science news. Jeremiah is also a regular presenter at the Indiana FileMaker Developer Group.